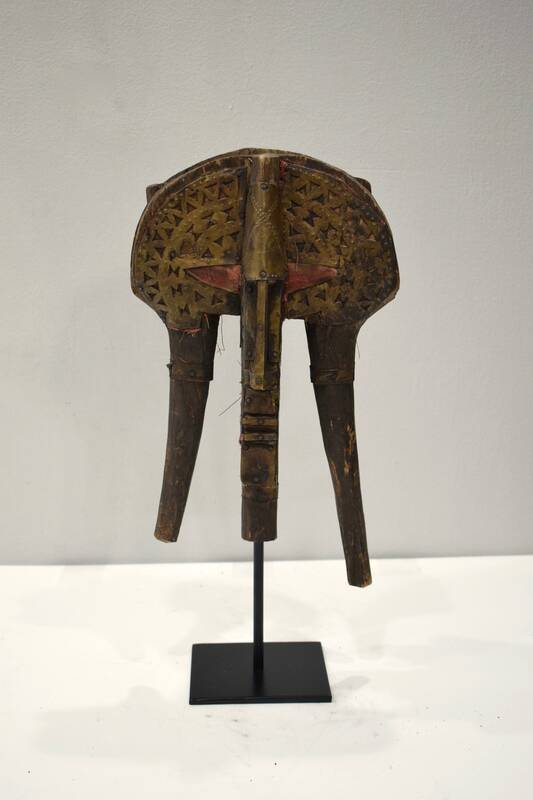 This beautiful Bakota African Reliquary Mask is crafted of Hammered Copper and Brass and comes from the country of Gabon. This Mask is called a Reliquary Guardian and these figures were mounted on containers holding relics of important clan ancestors, serving as their guardians. 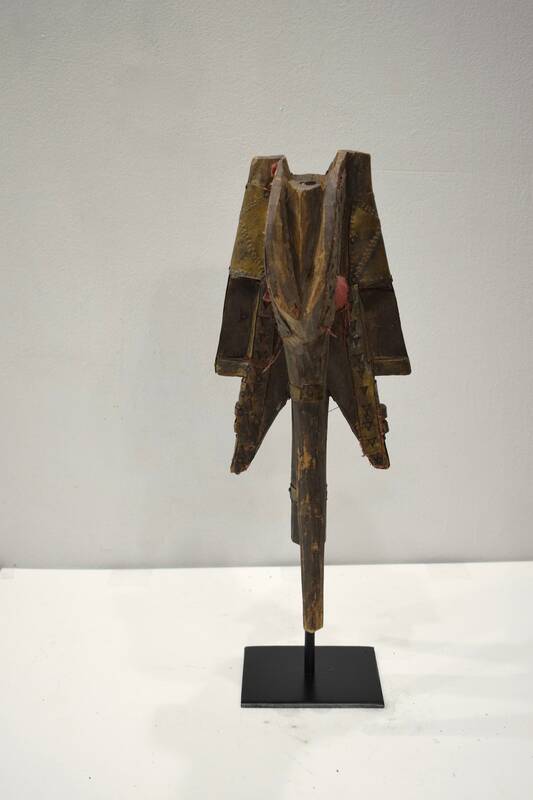 This unique 3-dimensional Statue/sculpture in Brass an Copper, these figures include projecting shapes around the face that refer to elaborate coiffures, and a diamond shape below the neck that is an abstracted body form. 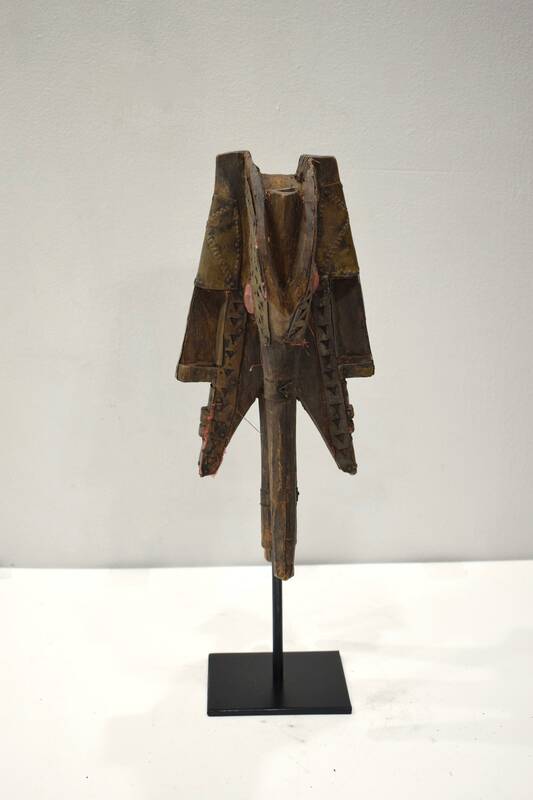 The Kota have produced large quantity of statues of ancestors with the diamond-shaped lower part called mbulu-ngulu; these rather two-dimensional sculptures are in wood; symbolic metals were applied to the upper part in strips or sheets to add power. 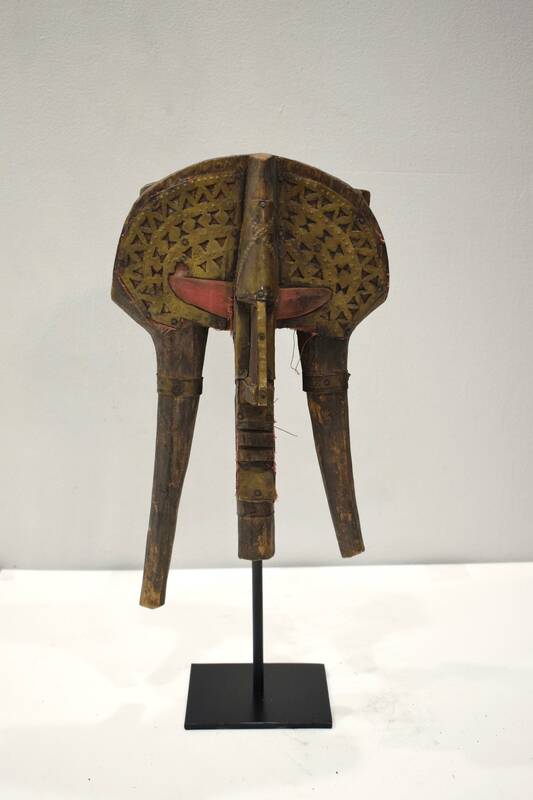 This guardian mask would be a wonderful addition to your collection.